While those moving to or from Newport Beach know that the weather here is beautiful and sunny nearly all year long, special steps must be taken in order to protect your belongings during the hottest months of the year. Summer means even more direct sunlight which can be harmful to many things in your home. 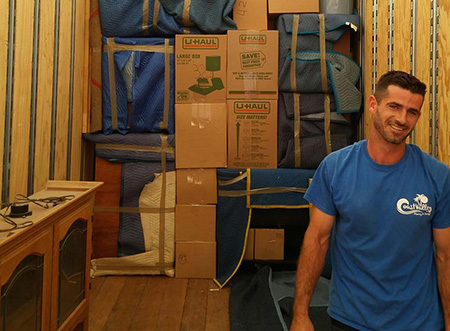 Check out some of the summer moving tips from your local Newport Beach movers at Coast Valley Moving & Storage! Stay hydrated – On moving day it’s hectic. But don’t forget to stay hydrated. Drink lots of water and also provide cold water for your movers if possible to prevent fatigue and heat stroke. Keep an eye on the clock – Don’t overdo it while the sun is blazing. Taking as short as five minute breaks in the cool shade can greatly increase your productivity when working long hours in the sun. Beware of sun damage – Before your move, your items are strewn about as you begin to inventory, organize, and pack. Make sure your precious items are not left for long hours in direct sunlight where color can fade, edges can wither, or other kind of sun damage. Protect your pets and plants – Pets and plants are just as susceptible to heat as the rest of your family. Keep your shade plants cool by keeping them away from the sun. This prevents water loss and withering. As with pets, be sure your pet has access to an abundant supply or water and air if left in your car during loading. Wrap sun sensitive items – Things like CDs and DVDs can be damaged when left out to the sun. As well as metallic items getting too hot to touch that can hurt you or your movers. Be sure to wrap these items in paper, dark plastic, or place in boxes to keep them cool. For local or long-distance moving services, consider for your upcoming relocation, look no further than the moving pros at Coast Valley Moving! We offer unrivaled customer-oriented service for both residential and commercial relocations. Don’t rely on anyone else but our qualified moving specialists! Call us today or fill out our online form to request your free in-home estimate!